I am pleased to announce that Cadenza Interactive's next project is The Wanderer!It took us some time to complete our duties for Retrovirus, but during the support period on that project we pitched, prototyped, and chose our next game. 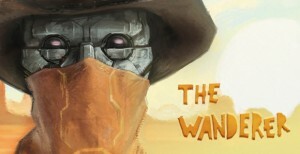 The Wanderer is a survival game that puts you in the shoes of a robot that is trying to escape a dying planet. As you explore the failed colony you will uncover it's many stories, find items to aid you in your journey, and come across other robots that were left behind; some good, some bad. How you survive and how you escape the planet are left up to you; this is your story. We are hitting the ground running on this and the team and I will be updating about The Wanderer's development via our social media and the websites blog. Exciting times lay ahead! We're glad you're here with us!